Automatic way of sending a message out on Twitter (Tweet) which can be customized. 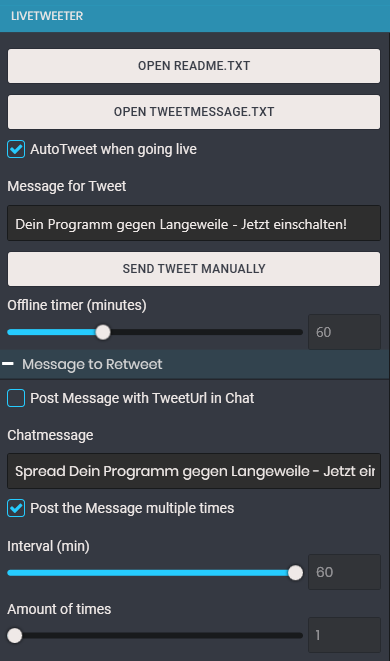 If you enable the option you can also let the bot write a message in chat with the URL to the sent out Tweet so viewers can retweet it. Since most people slowly but surely join the stream you can also let the bot write that message multiple times with a set interval and amount of times. 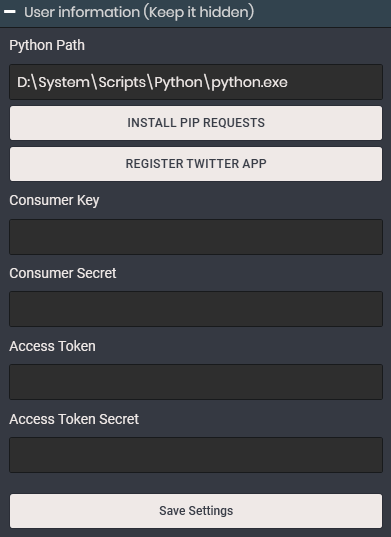 Important note: This script needs the two-way authentification on Twitter (with mobile phone) so you’re able to create an App for it.